We are selling this lightly USED Newtek 3Play Instant Replay System with controller Used Item with 90 Day warranty. Takes in 4 channels simultaneous HD-SDI and can replay 2 Ch in slow or regular speed HD Video. Used for sports trucks, studios, flight packs. Purchased new in Late 2013. Well taken care of and ready to work! he 3Play 425 Full Unit Replay System with Controller from NewTek is a 6-channel instant-replay slow-motion HD video server with a controller unit designed for use in control rooms and production vehicles of all sizes. With support for removable storage devices and a recording capacity of up to 30 hours, you can perform marathon recording with ease, whenever and wherever required. The Unit Replay System uses session management to help ensure your data stays organized. It also comes with a slow-motion feature that enables you to break down highlights or analyze pivotal moments frame-by-frame. It can be used as a standalone unit, paired with the existing production system, or it can be teamed up with TriCaster over a local network. You can also streamline your entire operation with the NewTek live sports combo and have a complete, integrated live production solution using a fraction of the space typically required for sports production. Hitting the 6-channel sweet spot for sports producers with 4 cameras in, 2 fully-independent channels out, and a lightweight price point, this system offers professional, multi-camera replay coverage. What your crew lacks in numbers, it makes up for in terms of efficiency, productivity, and skills. With this system’s ease of operation, any utility player on your team, from the rookie to the veteran, can step in and shine. The intuitive replay workflow is easy to learn, so your bases are always covered, no matter who the players are. From mobile unit to press booth, this sleek unit’s network-quality replay system tackles the away games as easily as it powers the home games. Slide easily into any existing production space or produce from places you’ve never been able to before. Every angle is just an SDI connection away. With 30 hours of recording capacity and removable storage you can easily perform marathon recording whenever required. Session management lets you keep games and clips organized. Additionally, built-in applications in this unit allow for importing and exporting of media content to handle any in-game or post-game file requirements. Enjoy network-style presentation with smooth, interpolated slow motion. Break down highlights or analyze pivotal moments frame by frame, and with incredible detail. Build highlight or sponsor blocks at breakneck speed for instant replay on command during timeouts, or going into a break. Package the best plays, critical mistakes, and monumental moments together, and then add transitions and background sound for a strong finish. 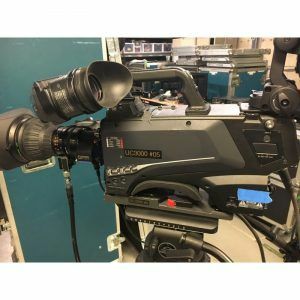 Functioning independently, connected to your existing production setup, or teamed up with TriCaster over a local network, this unit plays well with others. You can plug in the 3Play to multiply the inputs of your switcher. It also enables you to streamline your entire operation with the NewTek live sports combo and have a complete, integrated live-production solution using a fraction of the space traditionally needed for sports production.